We offer a variety of cleaning services to meet your needs. To Begin: Choose any one of our room packages and a professional plan will be prepared by one of our our 2 Girls and a Mop Organizers. After we arrive at your home you will see the results in a few hours! Yes, it’s that easy and more affordable than you thought! Need a home make-over? 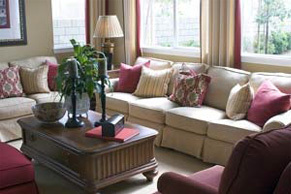 Our professional team will transform your home with your vision in mind and our know-how, for less than you think. Choose one of our packages and get started today! Residential Cleaning Services – 2 Girls and a Mop™: Green clean home cleaning & maid service using 100% natural cleaning products. A professional maid company with a smile! A professional maid company with a smile! 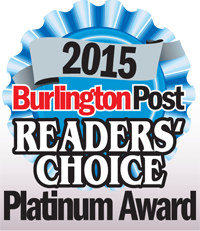 Reader’s Choice Platinum Award Winners - Best Cleaning Company!